Amy has a true gardener’s demeanor. She is centered and unfussy and calm, and she says things like, “it fed my liberal spirit.” She will wax poetic about childhood time spent in her grandmother’s vegetable garden in Irvington in a little plot on Dewey Avenue, but Amy acknowledges that she didn’t develop her own love of gardening until she chose to stay home with her children and began playing in the dirt. 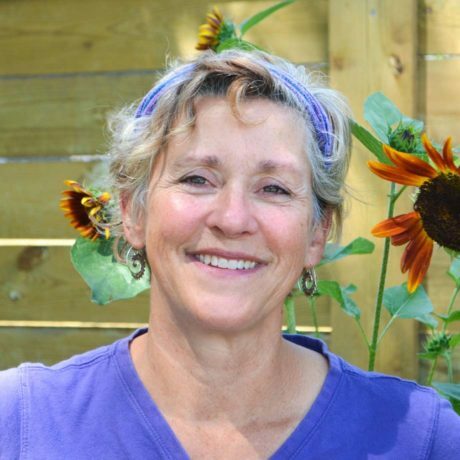 Determined and curious, she has since amassed a wealth of knowledge and experience—more than qualifying her for her role as Lead Gardener at Spotts. When not tending the grounds of our clients with a seemingly effortless air, she’s honing her whimsical eye, incorporating quirky found objects into her ever-changing home garden.